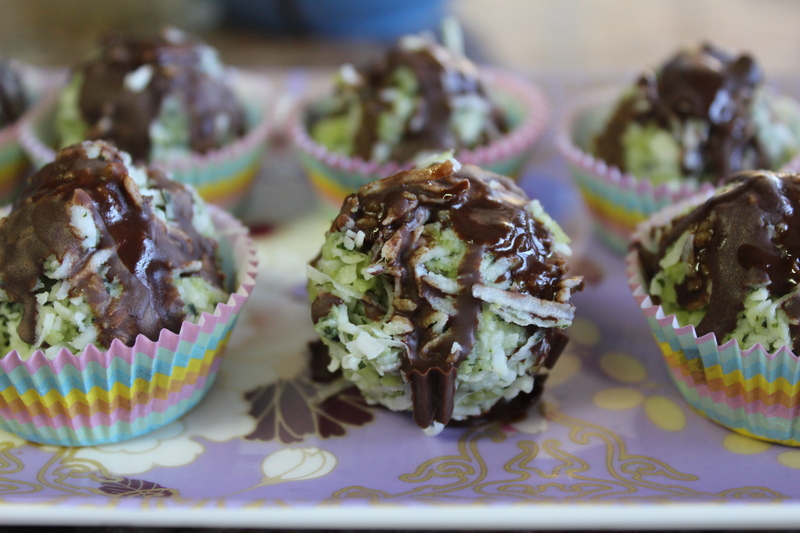 Wash the mint leaves and add them to a processor along with the ½ cup desiccated coconut, process until the mixture has become fine then add the coconut butter, coconut oil and honey and process until the ingredients have completely combined. Then combine this mixture with the 1 cup of desiccated coconut flakes. Roll into balls and place in a patty cup to set, place in the freezer for two minutes. 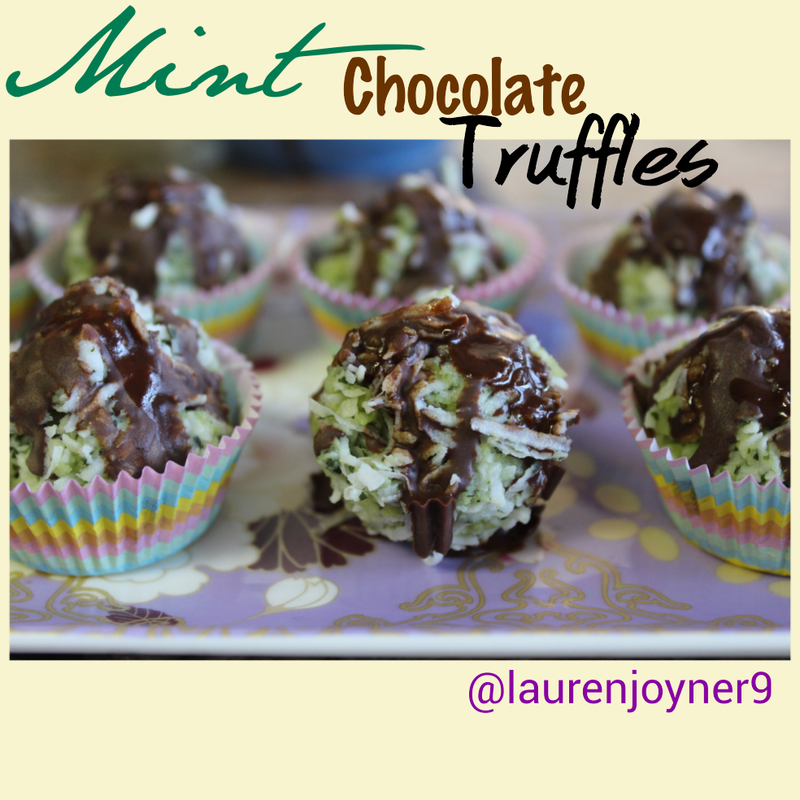 Mix the chocolate ingredients together, take the truffles out of the freezer and coat with the chocolate.